Løp til SUPA etter röyksopp-konserten på fredag og få med deg Of Norway LIVE, et av landets mest lovende navn innen elektronisk dansemusikk. DJ Tobii fra bergen supplerer med fyrrige rytmer fra platespillerne. Of Norway are production partners, live act and DJ's Lil'Wolf and Chris Lynch from Oslo, Norway. Between them they have releases and remixes on labels like Brique Rouge (F), Afro Art (UK), Mantra Vibes (IT), Audiobahn (S), Deeplay Soultech (S), Dialect (F), Love O.D (N), C+C/Frode Records (N), Rebirth (IT), Tommy Boy/Silver Label (US). Look out for coming collaborations with Norwegian disco superstars DiskJokke and Vinny Villbass. 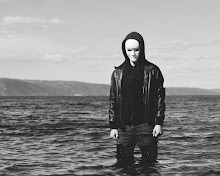 Lil'Wolf has recently signed a record deal with NYC label Rong Music as well as recording a BBC session for Annie Nightingale and hosts a monthly Of Norway radio show on Samurai FM. Of Norway’s universal appeal is proven by appearances on playlists and charts by people as diverse as Stacey Pullen, Mental Overdrive, Brodinski, Frankie Bones, Laidback Luke, Lee Burridge, Hernan Cattaneo, Gel Abril, Ajello, Phonogenic, John Digweed, Martijn Ten Velden, Kiki, Fabrice Lig, etc. 2008 saw Of Norway mesmerising crowds all over Norway with their deep, hypnotic and yet very dancefloor friendly live shows, swaying crowds with a sonic blend of techno and house.